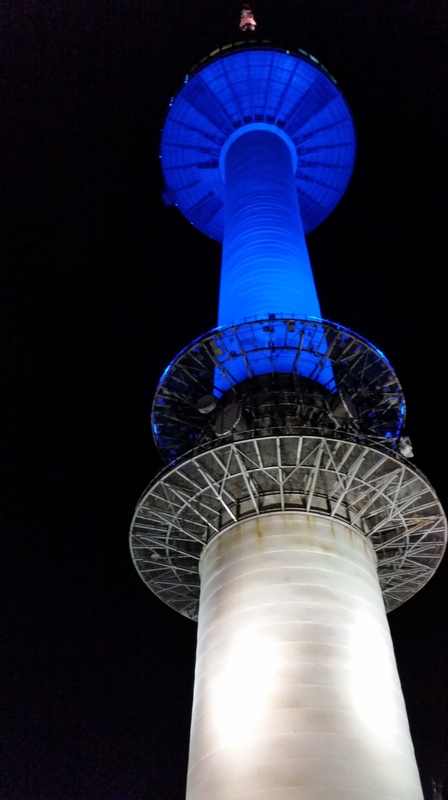 Namsan Tower is a very “touristy” spot by all accounts, but is it worth it? 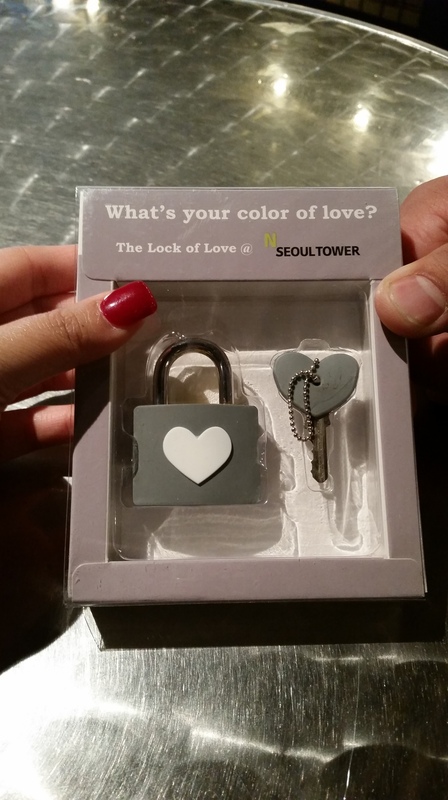 It’s a place to see the skyline of Seoul, experience a cable car ride up the mountain, and of course write messages of love & declare your heart to the one you love. 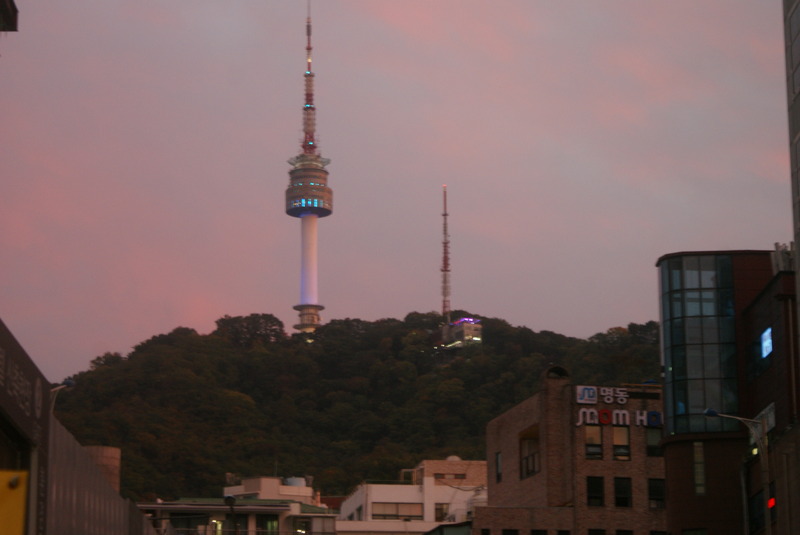 To answer that question, for myself, was it worth the line I had to endure just to get up to the Namsan Tower? 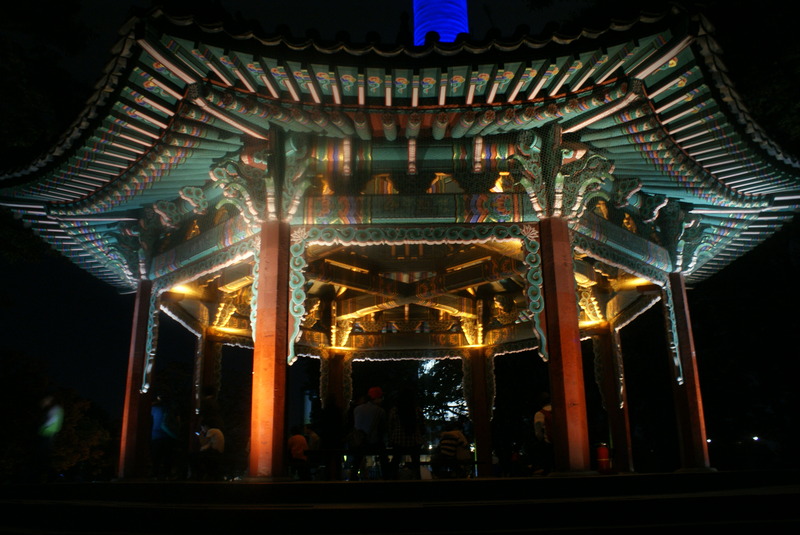 For me, the glittering lights of Seoul’s skyline and the atmosphere was worth the small entrance fee and long line. So final answer is, yes! You can easily go during the day, but I do recommend the night view (it was breathtaking!). 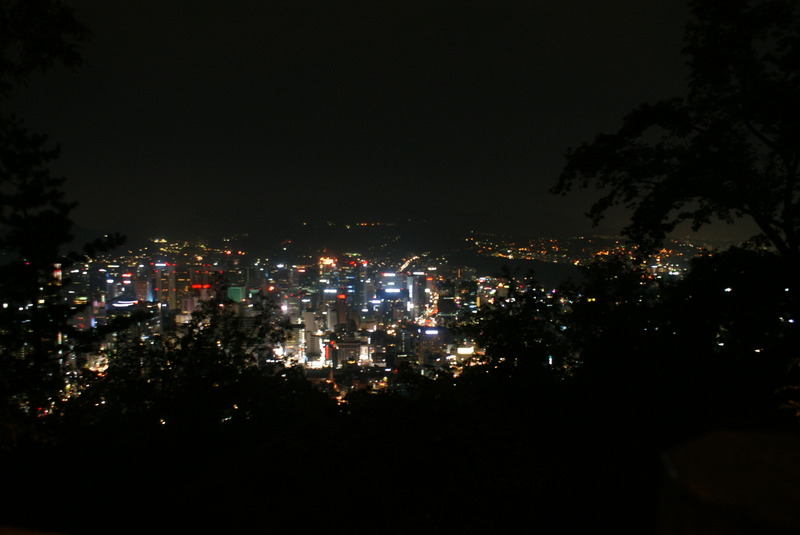 Namsan was just about a 10 minute walk from my hotel in Myeongdong. So, if you’re coming from Myeongdong you’ll end up at the bottom of the entrance for Namsan tower, and you’ll have to line up for a small cable tram that goes up the hill. Then from there you’ll get to the ACTUAL entrance, wait in line, buy your tickets, wait in another line, and then get on the cable car to go up to Namsan tower. Did you sense a theme there? Yes, a lot of waiting & lines. At least the entrance fee was relatively low. 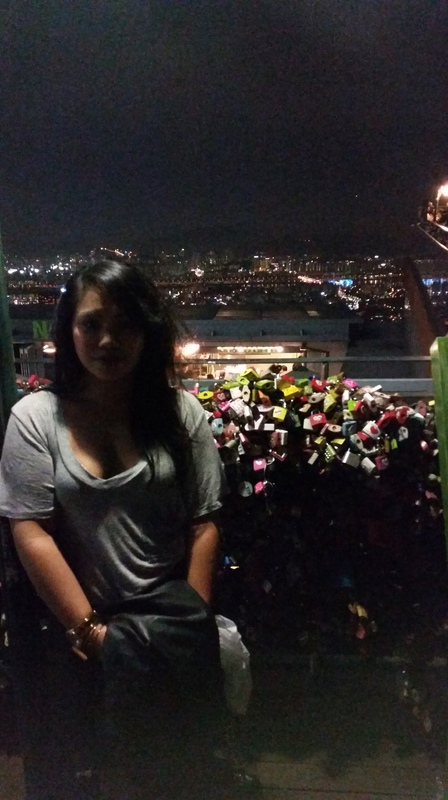 Just being able to leisurely walk around, admire Seoul’s skyline at night, profess my undying love with a lock, and grab a bite to eat while I had a view was worth it to me. Anyways, who knows when I’ll be back in Seoul, at least it’s crossed off my must-see list! One of the most popular things to do here is to buy a lock, write you eternal message of love or promise & lock them onto a railing or tree. 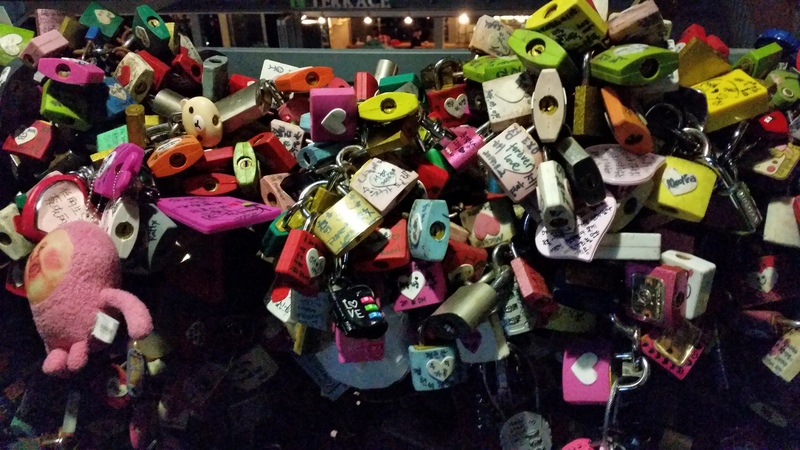 It’s the same concept as the “Lock of Love Bridge” in Paris. It’s a kitschy thing to do, but still fun. One thing we didn’t end up doing was paying an extra fee to go up even higher in the observatory tower. Personally, I just didn’t see paying 20,000 won (a little less than $20 USD) to see the same view but just in a higher place. I don’t know if I really missed anything, but for anyone who has gone up there….is there anything else special up there?? 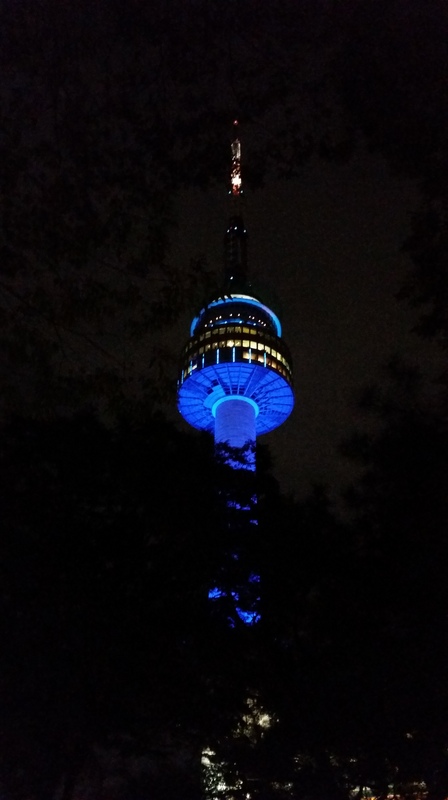 So that sums it up for my trip to Namsan Tower. If you do have a free night, then just go an explore! I would say it only takes up about 2 hours (max 3) of your time. So you will definitely have the rest of the night to be able to go out and live it up.